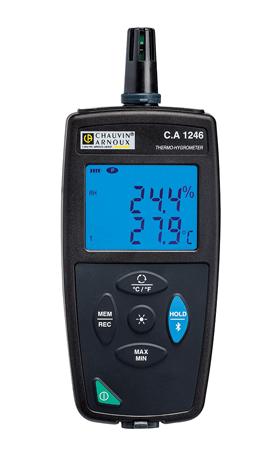 The C.A 1246 is a 3-in-1 instrument for measuring relative humidity, ambient temperature and the dew point. 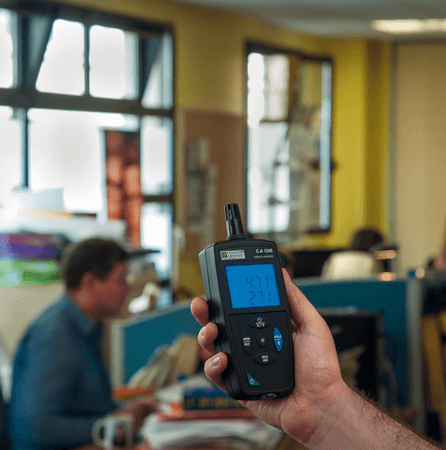 Equipped with a wide backlit display, the C.A 1246 offers all the useful functions for work in the field, such as Min, Max, Hold, as well as spot or programmable recording possibilities. Communicating via USB or Bluetooth, it is possible to program alarms and recording triggers on thresholds by means of the Data Logger Transfer software.